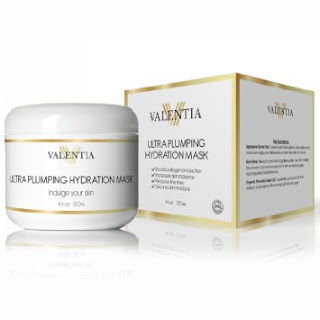 #ValentiaUltraPlumpingHydrationMask #evergreenpure I have 2 new weapons in the war on aging that I want to tell you about. 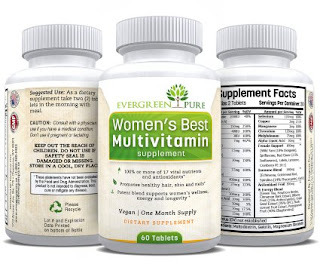 The first is Women's Best Multivitamin. It contains 100% or more of 17 different vital nutrients and antioxidants that a women's body needs. This vegetarian/vegan blend boosts your energy level without caffeine additives. It's great for your immune health and helps keep your body healthy and full of energy. Old age can't creep up if it can't catch up. Secondly I'd like to tell you about Valentia's Ultra Plumping Hydration Mask. This mask's natural formulation permeates to moisturize on the surface as well as deep in the cellular level. It locks in moisture for a full 24 hours. It contains many key vitamins and nutrients to keep your skin looking fresh, glowing and young. My skin looks so good right now. I love when people try to guess my age now. Most people think my 2 oldest daughters are my sisters and that's more than fine with me. I received both products for free and was compensated for one of them in exchange for an honest unbiased review.